The southern penninsular region of India is a biodiversity hotspot. Several new species of animals, plants and insects have been discovered in this region in the past. This year two new species of Portulaca, commonly known as moss rose, have been added to this list. The two new species were discovered from Badami hills in Bagalkot district of Karnataka by botanists from the Shivaji University in Kolhapur, Maharashtra. 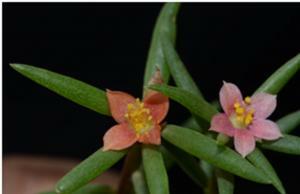 The species have been named Portulaca badamica and Portulaca lakshminarasimhaniana. Portulaca badamica is named after the site of its discovery that is, the Badami hills, while the second new species—Portulaca lakshminarasimhaniana—honours Pakshirajan Lakshminarashimhan, who is the head of the Botanical Survey of India, western regional circle in Pune, for his significant contribution to plant taxonomy. Portulaca badamica is 5-15-centimetres-long with a long slender root called tap root, an erect and cylindrical soft green stem, 4-7 leaves with an under ring of white hairs, and it produces bright yellow flowers with bluish seeds. Portulaca lakshminarasimhaniana is much taller, with a height of 50-70 centimetres, a branched woody stem with no white hair ring under the leaf, and it bears reddish pink flowers with seeds that have a metallic shine. Both these species differ from previously known species of Portulaca in the branching pattern of their stems as well as the structure and colour of their flowers and seeds. Portulaca originated in South America and Africa and has more than 100 species worldwide. “From India, six species of Portulaca were earlier known and now there is addition of two new species,” says Shrirang Yadav, professor of botany at the Shivaji University in Kolhapur, who led the study. His team made the discovery while documenting the diversity of flowering plants of Bagalkot district of Karnataka. “We wanted to explore the plant diversity of much neglected drier parts of peninsular India as this hasn’t been extensively done till date,” adds Jagdish Dalavi, a doctoral student with professor Yadav. Their team carried out field surveys between June and September 2018, collected specimens of flowering plants and preserved them in alcohol before they were examined in the lab. In addition, they recorded the GPS location of the area from where the specimens were collected and took high resolution images of plants, including stems, flowers, and roots and the area in which they were growing. The structure of parts that were not clear to the naked eye, like seeds, were examined under a microscope and their detailed structure was also recorded. 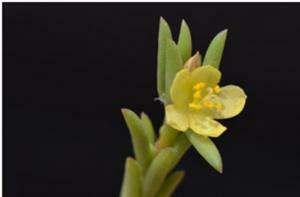 After comparing the images and features of the newly discovered species with previously known species of Portulaca, researchers found that the two species from Badami hills were new. “At present, both the new species of Portulaca grow in sandy soil accumulated on rocky plateaus of Badami and Guledgudda taluks of Bagalkot district. They are restricted in distribution and are facing constant anthropogenic threat due to human activities such as grazing pressure and construction,” says Yadav. Portulaca badamica is listed under the data deficient category and Portulaca lakshminarasimhaniana is listed as critically endangered by the International Union for Conservation of Nature (IUCN), which is the global authority on the status of the natural world and measures needed to safeguard it. Apart from Portulaca species, Badami hills are home to many rare plants such as Barleria stocksii, Iphigenia mysorensis, Eleiotis rottlerii, Alysicarpus gamblei and Commiphora berryi. “Hence, conservation measures in these hills like declaring Badami hills as a protected area are important because we believe that any species lost due to human negligence can be lost forever,” says Jagdish. “The new species of Portulaca were discovered from interior areas of the deciduous forests of Badami hills, which could be one of the reasons that these species were undiscovered till date. The other reason that these plants remained unknown for so long could be their short life cycle,” says Yadav. Portulaca completes its life cycle in two-three months during the rainy season, which is why these were missed by botanists all through these years, researchers believe. Interestingly, both these species have been known to tribals and locals for decades. They call it ‘Naaligede’ and regularly use them as vegetables in their diet. “Owing to their capability to flourish in dry environments, these plants can also be of great significance in crop improvement,” adds professor Yadav. “They can be used to study genes that confer resistance to drought. By transfering these drought-resistant genes to other crops through modern biotechnology methods, important crops can be made resistant to water scarce or dry and harsh environments,” elaborates Jagdish. The study was done by Jagdish Dalavi, Pradip Deshmukh, Varsha Jadhav and Shrirang Yadav from the department of botany at Shivaji University in Kolhapur, Maharashtra. 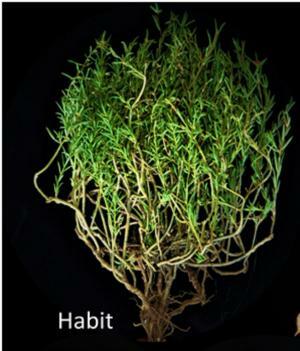 The findings were published in the journal Phytotaxa.